Brazil is on my bucket list of places to visit. I can just picture myself sipping caipirinhas and exploring Rio. 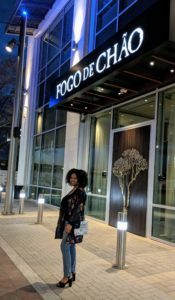 Until then, I’ll have to settle for the next best thing, which is Brazilian food, and there is no better place to have it than Fogo De Chao. 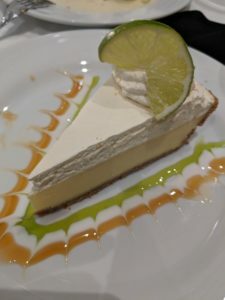 They recently opened a new location in Legacy West, Plano. It’s the perfect spot to grab dinner to celebrate a special occasion or for a fancy date night. There is an impressive selection of wines and cocktails. 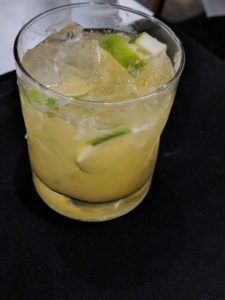 The caipirinha was mixed perfectly and it comes in some unique flavors, like coconut and passion fruit, as well as the traditional lime. I tried all three! My favorite was the coconut. If you have never been to traditional Brazilian steak house, this is how it works. 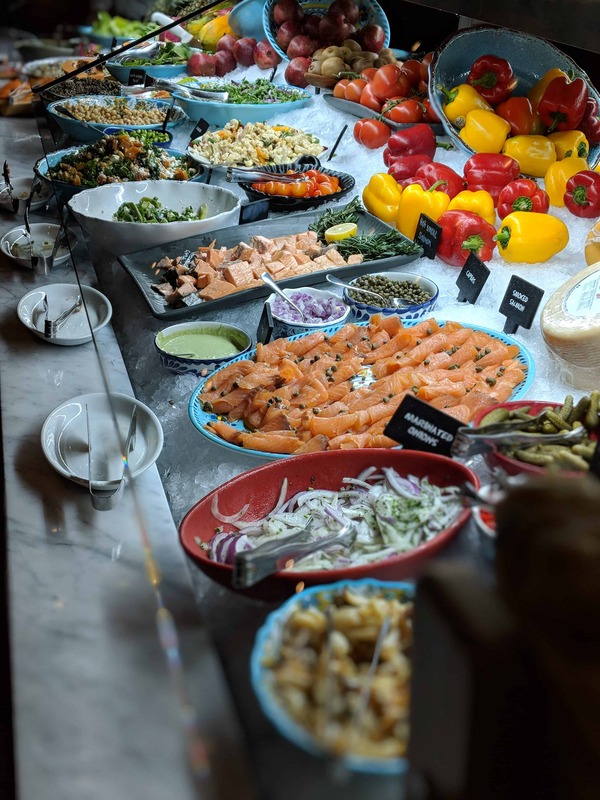 Once you’re seated, you can enjoy the all you can eat salad bar which has an array of vegetable, cheeses, and mixed salads. As well as the hot sides bar, that includes, grilled vegetables, rice, and soup. You are given a sign to indicate to the Gauchos (the guys with the meat) when you’d like meat presented or if you are on pause. The Gauchos walk around with different skewers of deliciously prepared meats. You name and they have it, chicken, different cuts of beef, lamb, sausage, and pork. 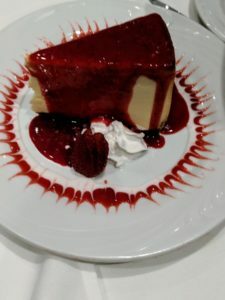 Fried yucca, the creamiest mashed potatoes I’ve ever had, and baked bananas (trust me they are good) are brought to your table along with fresh Brazilian cheese bread. 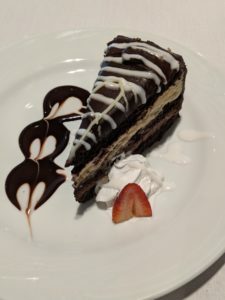 As if all of that wasn’t enough, there’s dessert, and I suggest you do your best to save room. 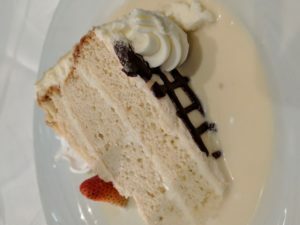 Mocha Money Saver: Fogo has expanded their dining options so you can enjoy a wonderful meal at various price points. 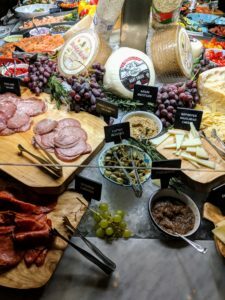 If you’re not in the mood (or the money) for the full Fogo experience you can go for the Select Cut where you get access to the full salad bar and choose one cut of meat. 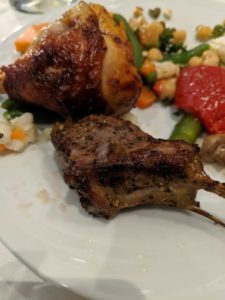 Fogo also offers an add on to your dinner service where in addition to the wide selection of meats, you can have exotic game. This is usually an additional price, but if you sit at the Churrasco Bar it’s included in the regular dinner price. 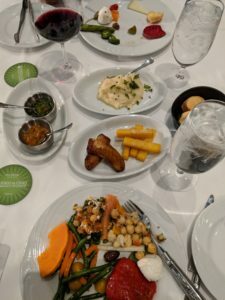 There’s also an excellent happy hour with Brazilian bites and beers starting at just $4! *Disclaimer: This post is sponsored. All reviews and opinions for items gifted to me are my own. I have been absent for a while, but now I remember why I used to love this web site. Thanks, I?¦ll try and check back more frequently. How frequently you update your website?